The festive season is almost upon us, and just as important as the food and gifts is the Christmas movie, a time-honoured tradition, crucial to the anticipation, the quiet moments, to the post meal lull. Crowding around the TV to watch a Christmas movie with family after being stuffed with the finest turkey is sacred to the festive season, so here’s a list of our favourite Christmas movies to get the excitement started. Macaulay Culkin, in the role that made him a superstar, plays Kevin, the 8-year-old boy left behind by his family as they travel to France for Christmas. While he waits for their return, Kevin must fend for himself and fight off the Wet Bandits, a house robbing duo. He sets traps all over his house as the Bandits agonisingly fall for one after another, including a hot pot to the face and standing on crunchy Christmas decorations in their cold, bare feet. And if you don’t shed a tear when Kevin reunites with his mother, are you even human? For some, Anchorman is Will Ferrell’s greatest role, but for those of us who are Christmas fanatics, there is no greater role the big man has played than Buddy the Elf. Buddy is an unusual fella, a human raised by elves, and when he discovers that he is human, he must go to New York City to find his real father, who just happens to be on the naughty list. 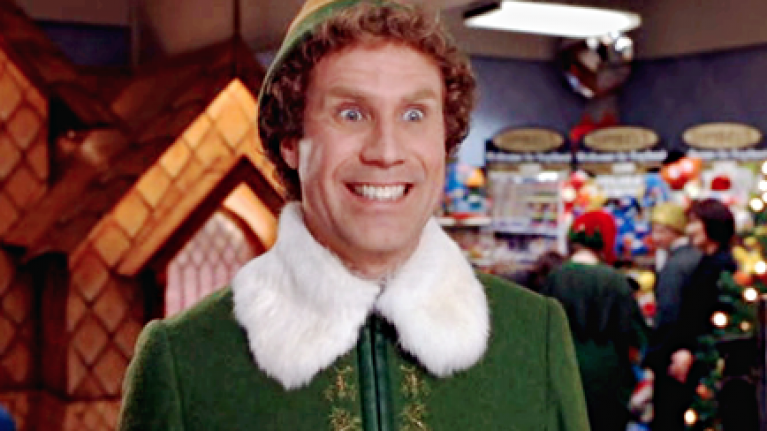 Full of classic lines and outrageously funny moments, Elf is the ultimate Christmas comedy. Yes, the Harry Potter Series is in our list of favourite Christmas movies. A controversial choice maybe, but come on, it’s Christmas. Firstly, we know there are eight Harry Potter movies, we just can’t pick our favourite. Second, though it may not be a Christmas movie in the traditional sense, Christmas is featured in each of the movies, the theme music has elements of Christmas music, and Dumbledore looks like Santa! What more do you want! We had to include this classic for the traditionalists and Richard Attenborough may just be the finest on-screen Santa Claus we’ve ever seen. In Miracle on 34th Street, he plays Kris Kringle, a man drafted in by a giant New York department store to play Santa, only for an envious rival store to set him up for assault – not very Christmassy is it! Kris must then argue to the court that he is the real Santa and wins with the support of some super cute kids. Classic! Michael Caine and the Muppets take on Charles Dickens’ classic tale of Ebenezer Scrooge, the old and bitter miser who finds redemption after being visited by the ghosts of Christmas past, present and future. This take is both hilarious and tear-jerking in a way only the Muppets can do. The whole Muppet cast get involved for this family-friendly Christmas classic, but it’s Gonzo and Rizzo that steal the show as a pair of onlookers into Scrooge’s torment. So, there you have, our favourite festive films. Have we missed any? What is your top 5? Let us know! In case you missed it, hit the links for our blogs on 5 Gift Ideas For The Man Who Has Everything and 5 Gift Ideas For The Man Who Has Nothing. Coming soon, our favourite Alternative Christmas Movies!